My love for Nima brushes is no secret. Introduced to them by their creator, local girl Niamh Martin, I've since purchased my own Pro Kit (complete with sunshine yellow cylinder) and I was also sent the Nima Mitt (spoiler alert: I loved it). My love for anything and everything rose gold is also bordering on the obsessive. Watches, rings, shoes ... I just can't get enough. So when Niamh even hinted at the possibility of a collection of brushes with rose gold ferrules something in me got very, very excited. The aptly named Elite Collection is a professional-quality collection at enthusiastic-amateur prices. A mixture of synthetic and natural (humane) fibers - it's a no fuss collection of practical, usable and adorable brushes. 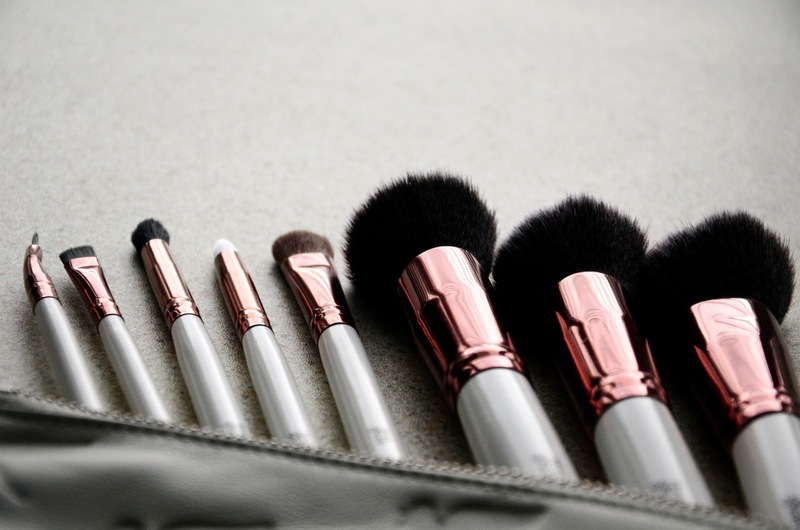 They've all got the signature white handles and gorgeous rose gold metallic ferrules. As soon as they arrived I knew it was love at first site. Niamh was kind enough to send me two sets from the collection, the 5 Piece Eye Detail set and the 3 Piece Kabuki set. The Eye Detail set comes with a large shader brush which is like a domed shadow brush but a little thicker and tapered towards the top. It's sable hair which is incredible soft, not far off the consistency of squirrel hair. What I loved about this brush is I haven't had a bit of shedding and it picks up shadow so well without building up on the brush. The crease brush is the second natural fiber brush. It's pony hair, a short dome shape and slightly tapered towards the top. It's a dream to use, glides along the socket line so easily and makes my morning makeup panic so much easier. If anyone has the goat hair pencil brush from the Nima Professional set, the pencil brush in this set is very like it. It's synthetic hair and slightly more pointed. It's very stable and a good density - it works really well for smudging eyeliner. The angled brow brush does exactly what it says on the tin, it's longer than your average angled brush and it creates the most beautiful tapered line. I think it makes doing my brows easier because it's that bit thicker. The final brush, the angled lined brush is everything you would hope for from an angled fine liner brush. The bristles are really sturdy - but be sure to give it a good wash before you use it to get all of the glue off that keeps the bristles in shape during shipping. The kabuki set is really fun. All synthetic and soft as clouds - if anyone has the Real Techniques brushes, we're in that sort of territory. There's a flat top brush which is like a grown up version of the ELF flat top powder brush. Like the ELF brush, I've been using this brush for buffing on my foundation which it's particularly good at. 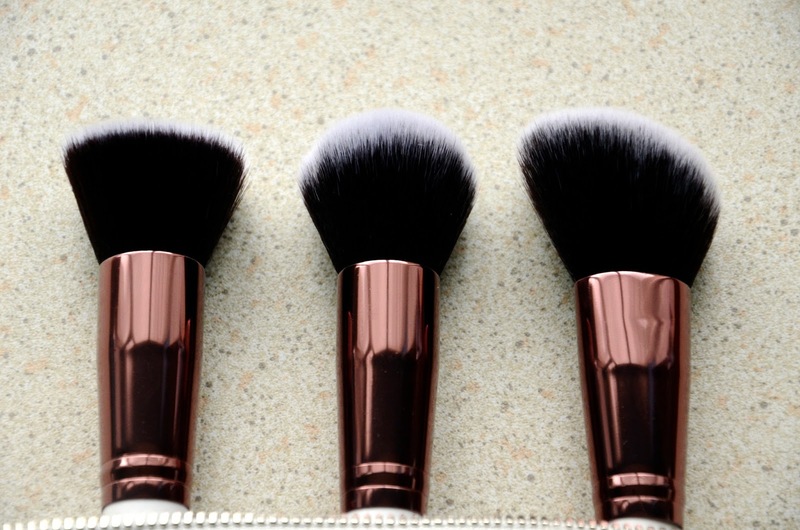 The domed powder brush is great for blusher, it would also be perfect for cream products. It's nice and small, a great size for being precise with products. Finally the angled powder brush is my current favourite for highlighter and applying sweeps of product across my cheekbones or down my temples. It's unlike anything I have in my collection. I also run it over my contouring to soften the edges. The shape is hard to describe, it's almost like an egg - rounded over the top and angled upwards where the bristles are longer and have a little bit more movement. It fits really well with the hollows of the face. 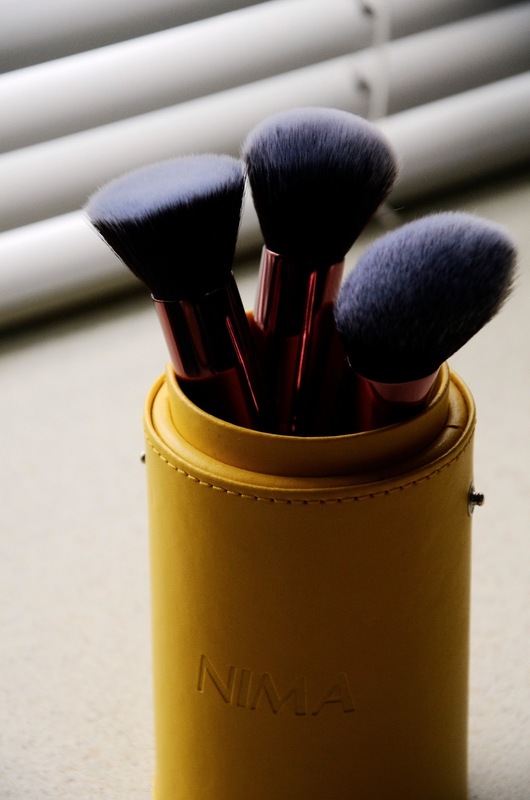 The kabuki brushes are all made of taklon, making them easy to clean. They're also perfectly suited for working with liquids and creams as well as powders. They're great multitaskers. The Elite Collection is about investing in great quality brushes; high quality natural fibers and great synthetic hairs. But what I love about them is how accessible they are - professionals, enthusiasts and beginners can all enjoy them. They're pretty and practical, the perfect combination. 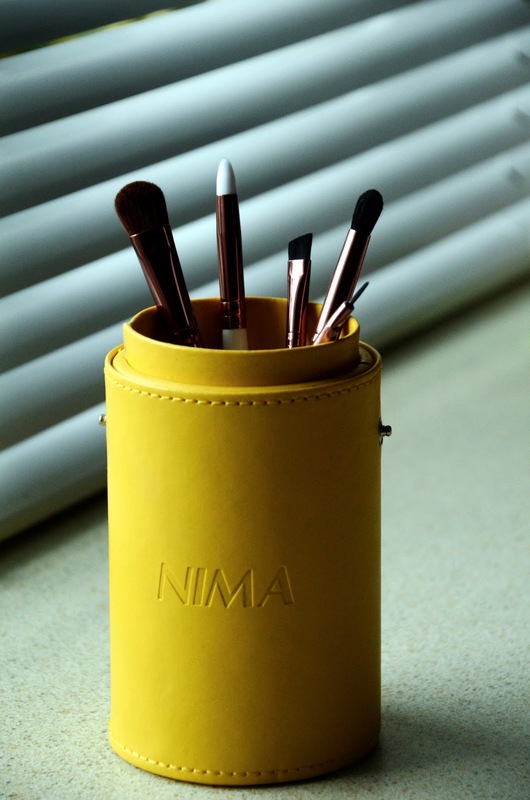 At the moment they can be bought directly from Niamh Martin on the Nima Brush Facebook page at great introductory offers such as €25 for the eye detail set and €35 for the 3 kabuki brushes. So now I think I've done enough talking, what do you think of the collection? Have you invested in any makeup brushes lately? I was thinking about ordering the 3 kabuki ones! They look lovely! I high recommend them :) Can't say enough good things about them!